Learning how to write and speak Chinese fluently can be an arduous process for new learners. Wan Peng, a leading mobile application developer has come up with a smart iTunes application Learn Chinese easily, that is tailored to help new users learn this language fast without necessarily taking any classes. English is the default language and is fully compatible with both iPhone and iPad devices. Learn Chinese Easily app offers a unique and interactive way of learning quickly how to fluently speak this language. One of the benefits of using this app is that it offers users unlimited opportunities to practice mentioning various sentences and words as they interact with the software. The intuitive interface is another major attribute that give this app a higher cutting edge in the market. The app is programmed to generate images randomly and the learners are required to match them with various texts to confirm their specific meanings. The pictures were taken using technologically advanced camera and are in HD. You can repeat a particular picture over the over again until you grasp the characters and meaning. The interface is quite easy to navigate as all the features are clearly articulated. There's no need to change any settings on your device as the images are optimized for various iPhone and iPad screen resolutions. Unlike other similar apps, this one has thousands of images hence you do not have to repeat the same pictures over and over again. One of the major features that you will enjoy by downloading this app is the test mode. Basically, it allows users to test their understanding of various Chinese words by giving a number of challenging tests. It goes a step further to monitor the answers that you provide and generate an accurate summary or report to help you gauge your progress. It is recommendable to write down your scores to effectively keep track of your learning process. Some of the details that are included in the report include amount of time used, accuracy, number of correct answers, number of wrong answers and your overall rating. Studies shows that students are able to remember concepts better when instructors use pictures of common items that they come across on a daily basis. The developers did put into consideration this fact as evident from the hundreds of pictures and pronunciations that it offers. To ensure that you fully understand this language, the developer is currently working to incorporate a number of free language lessons. You will not have to pay an extra penny for these updates. 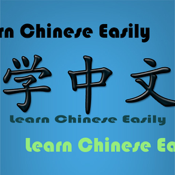 Learn Chinese Easily is an incredible tool that you can use to learn how to speak Chinese like a native speaker. It is easy to use and no prior experience is required.